A 15-year-old California girl says she was booted from her Christian high school for talking about being bisexual on her Facebook page. Alexandria Kraft said she was floored when a teacher at Calvary Christian School in Sacramento ripped into her for talking about a girl crush on the social networking site. “The teacher said, ‘Take your books and leave.’ I got kicked out,” Kraft told CBS Sacramento. 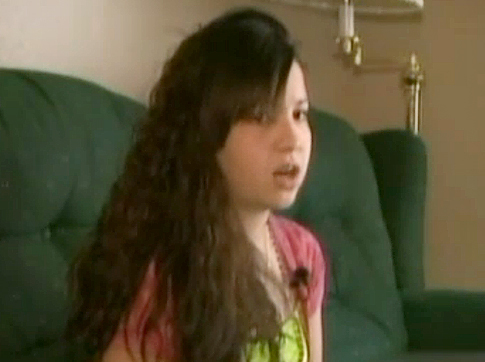 The stunned teen said she was simply curious, but never had a girlfriend. Later that day, Kraft’s mom, Catina Ayala, said she received a call from a school official asking if her daughter or any other students she knew were gay. “For her, saying what she is, for them acting the way they did is totally discrimination,” the teary mom said. Calvary Christian School, which is part of an evangelical Christian church, would not comment on the matter, the station said. Ayala said she knows “for a fact” that there are other gay students at the school. “If they are going to kick my daughter out, they should kick everybody else out that is bi,” she said. In 2009, the state’s Supreme Court said private schools do not have to follow California’s civil rights law. Next Post Is there anything you would not do?